Matched male female embossing rolls are among the most precision-oriented rolls in the converting world, requiring precise attention to alignment for consistent image reproduction on a variety of substrates. Industrial Engraving, LLC, includes a set of precision gears that holds each set of rolls in alignment and correlates with the desired pattern and depth. 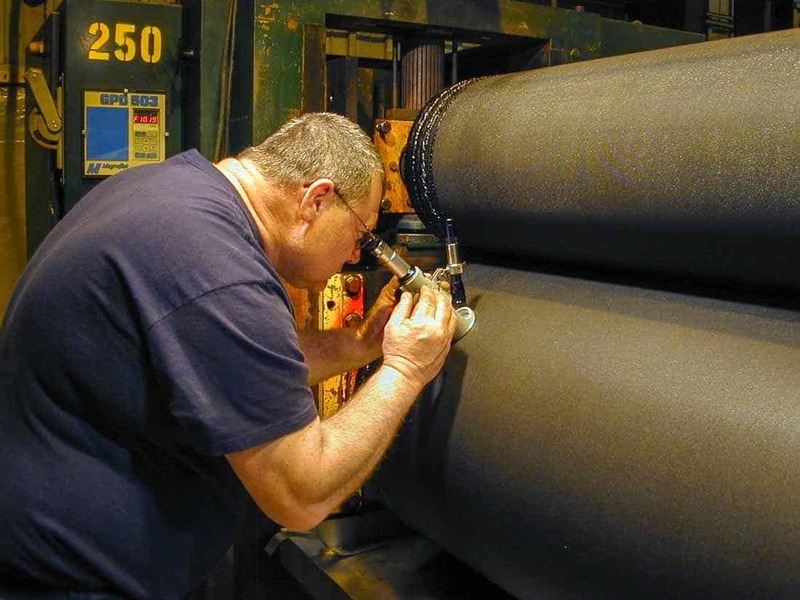 Industrial Engraving, which also produces standard and custom calendering equipment, is an industry leader in pattern development and engraving rolls. Also known as pin to pin embossing rolls and point to point embossing rolls, matched male female embossing rolls can extend up to 40 inches in diameter with a maximum face length of 200 inches. Industrial Engraving builds embossing rolls for existing equipment and has the capability of designing and building new equipment specific to the roll configuration. Towel, tissue, foil and film are some of the more common substrates used with matched male female embossing rolls, with specialty materials and other substrate options feasible for most roll sets. In addition to roll engraving, Industrial Engraving is an industry leader in pattern development. Digital transfer technology (DTT) creates patterns for matched male female embossing rolls without the cost of tooling. Industrial Engraving’s experts can manipulate the pattern electronically so it fits the roll diameter perfectly, minimizing the turnaround time for most patterns. Find out why more companies are relying on Industrial Engraving for custom pattern development or how matched male female embossing rolls can improve your operations. View original article on matched male female embossing rolls here.